The separation wall between West Jerusalem from East Jerusalem. Picture by MICK TSIKAS/AAP/PA Images. All rights reserved.Memories of the Jewish people´s suffering throughout history and the fear of Israel´s destruction have created an Israeli nation where Palestinians, at best, are treated as second-class citizens. The societal exclusion of Palestinians may very well have fatal consequences, as it leads to alienation and radicalization. Nowhere is this more evident than in East Jerusalem´s Palestinian neighborhoods. Last summer´s Palestinian uprising could very well have developed into a third intifada. As I enter Isawiya, a Palestinian neighborhood in East Jerusalem, the soldiers have just left the area. In their wake medics from the Palestine Red Crescent Society are searching the surroundings for people in need of assistance. Children are playing football while trying to avoid the sewage and the garbage piling up on the sides of the streets. It is the middle of July and the Israeli government has recently decided to install metal detectors around the Muslim Quarter in Jerusalem´s Old City due to an attack killing two Israeli police officers. The fact that the assailants were Palestinian-Israeli citizens has led to a disturbed state of mind within the whole country. Although Jerusalem is on the verge of eruption and riots have ravaged Isawiya for days, life for residents in the neighborhood does not seem to differ significantly from the ordinary. “This happens from time to time. Hopefully people will notice how we struggle for a better life”, Faraj*, a shopkeeper. I visit the neighborhood daily. Having my morning coffee in a café next to a mosque, which is said to have the tallest minaret in the city. A minaret built without a permit and therefore in defiance of the Israeli state. I seem to be the only non-Palestinian coming here and when I talk to Jewish-Israelis just a few hundred meters away they warn me not to enter the area, referring to it as a “no-go zone.” Most Jewish-Israelis who have lived all their life in Jerusalem have never set foot here. When I talk to Nisreen Alyan from the Association for Civil Rights in Israel who has worked as an attorney in East Jerusalem for nine years, she argues that the quality of life for Palestinians in East Jerusalem is deteriorating and is much worse compared to Palestinians living in the West Bank. “Even refugee camps in the West Bank have better conditions compared to the Palestinian areas in East Jerusalem. In the West bank people can generally feel safe when they are walking the streets, but in East Jerusalem there is no law, only chaos”, she says. Haaretz journalist Amira Hass goes one step further. She claims that living conditions for Palestinians in Isawiya can be compared to life in the Gaza Strip. Both the Gaza Strip and East Jerusalem have a poverty rate of over 80%. People in Gaza experience isolation, unemployment and lack of electricity, clean water and proper healthcare, while the people of Isawiya hold Israeli residency and in some cases even citizenship. Even so, close to 40%, of Jerusalem´s residents have an unsettled citizenship status and live in constant limbo. Nisreen points out the bureaucracy residents have to endure only to keep their residency. “Your residency status in East Jerusalem can be revoked very easily. Every five to eight years you have to prove that you are spending the majority of your time in East Jerusalem, even if you are born here and have lived here all your life. The process is very complicated and you need paperwork for everything. Your birth certificate, tax records, where your children are going to school, details about your health care and so on. If you do not have your paperwork for the several years you risk losing your residency. A lot of people have family and property in the West Bank but if you spend too much time there, the authorities can argue that your center of life is not in East Jerusalem any more”. 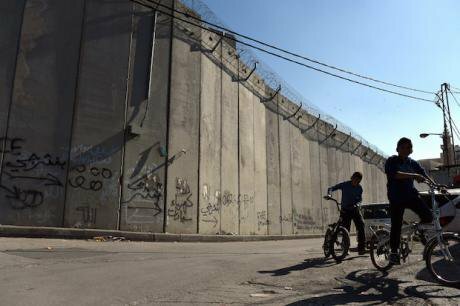 The discriminatory structure constitutes a permanent state of insecurity and anguish for the residents of East Jerusalem. The Israeli police often use collective punishment in order to control civil unrest. Closing down shops and businesses for days in entire areas is not an uncommon strategy. But in many regards both the police and municipality neglect the Palestinian neighborhoods and only engage if the violence risks spreading to the Jewish-Israeli part of the city. The lack of municipal investment has lead to a collapse of the education system. According to Nisreen there is a lack of approximately two thousand classrooms and every year between fifteen thousand and thirty thousand children are not attending school at al. Organized crime has replaced the police and lead to increased violence. Prostitution, drugs and weapons have become much more common. Nisreen believes the reason for the increasing crime rate is a consequence of the Israeli authorities´ mismanagement of East Jerusalem, and a general feeling of hopelessness over the failure of the Oslo accords over twenty years ago. “Palestinians feel that nobody cares about them. When people had Oslo there was hope. Many Palestinians thought that East Jerusalem would become the capital of Palestine and that all their problems would soon be over. But now people here feel like they have been abandoned. The families who control these areas are a part of an organized crime syndicate. There are about 120.000 Palestinians in East Jerusalem who are living in areas controlled by these people. That is a third of all Palestinians in East Jerusalem”, she says. Since the annexation in 1967 East Jerusalem is gradually taken over by Jewish-Israeli settlers, while the Palestinian residents seldom are allowed any building permits. Quddus* has tried to obtain a building permit for seven years. 79% of Jewish-Israeli citizens are of the opinion that Jews should be given preferential treatment“So far we have not received a permit from the municipality. We know people who have built houses without a permit but many have been forced to destroy their own homes. You also get a fine and it can get really expensive. Me and my family still live at my brother’s house”, he says. Palestinian-Israelis make up approximately a fifth of Israel´s population and in Jerusalem the corresponding figure constitutes about a third of all residents. But Palestinian-Israelis are often viewed with distrust in Israel due to their assumed lack of loyalty. Israel´s constitution discriminates between ethnic groups and a survey from 2016 indicates that 79% of Jewish-Israeli citizens are of the opinion that Jews should be given preferential treatment in Israeli society. This seriously contradicts the notion of a democratic nation state. Palestinian-Israeli citizens are generally excluded from the political, social, economic and military centers of power, where they rarely hold significant positions. Consequently, Israel constitutes an ethnic state, a political structure where ethnicity and not citizenship determines your status. The terror attack at the al-Aqsa Mosque in East Jerusalem in July this year, carried out by three Palestinian-Israeli citizens, illustrates that ignoring the need of a fifth of Israel´s citizens will continue to lead to societal instability. According to Dr. As'ad Ghanem at Haifa University, who himself belongs to the Palestinian-Israeli minority, the systematic oppression has generated in a unification between Palestinians inside and outside Israel. There is a clear rationale for many Jewish-Israelis to passively accept the injustice towards the Palestinian minority. Politically the Jewish essence of Israel continues to be presented as the backbone of Israel´s national security and the right of the Jewish people. The feeling of antagonism towards Palestinians is most likely a product of Jewish suffering throughout history, where the holocaust undoubtedly has had most impact. Today there are only around 200,000 Holocaust survivors living in Israel but a major proportion of Israel´s population are descendants of Holocaust survivors. Consequently it is no surprise that vulnerability constitutes a profound element in Israeli national consciousness. Although, the Holocaust is long gone and Israel has one of the strongest militaries in the world, the collective memory of the past lives on and affects Israeli society. The Holocaust and its severity should never be forgotten or belittled. Currently however, Israel is not threatened by extermination. Although anti-Semitism is widespread in Europe and the Middle East, and Israel has a hostile relationship with several of its neighbors, these concerns need to be distinctly separated from the horrors of the past. Failing to make the differentiation is an insult to every victim of Nazi Germany. Nonetheless, there has been a proneness among Israeli politicians to repeatedly use the anguish of the Holocaust to further their own political agenda. Perhaps one of the most frequent users when it comes to evoking images of the Holocaust in the Israeli public discourse is Benjamin Netanyahu. In May this year Benjamin Netanyahu accused Jerusalem´s Palestinian Grand Mufti of convincing Hitler to exterminate Jews when they met in 1941. Although the Grand Mufti supported Hitler, Holocaust scholars classified the claim as false. The political desire to depict Palestinians as threatening constitutes a serious hindrance for future reconciliation. One would presume that it is the responsibility of Israel´s political leadership to ease and overcome the agony of the past rather than to fuel it. But the issue is more immersed than relating merely just to the political level. Nurit Peled-Elhanan at the Hebrew University of Jerusalem and the author of the book Palestine in Israeli School Books: Ideology and Propaganda in Education has publicly stated that the explanation for indifference towards Palestinians among many Israeli soldiers is most likely a direct consequence of indoctrination in Israeli education, which poses a concrete hindrance to reconciliation. In a study from 2013, the Israeli scholar Daniel Bar Tal and the Palestinian scholar Sami Adwan outline the issue of misrepresentation in Israeli and Palestinian education. One Israeli textbook states that a former Palestinian village "had always been a nest of murderers." 49% of textbooks in Israeli state schools have a negative depiction of Palestinians, while textbooks used in ultra-Orthodox schools portray Palestinians negatively in 73% of all cases. 65% of Israeli state schools do have maps without any borders between Israel and the Occupied Territories and in ultra-Orthodox schools the figure is 95%. In East Jerusalem most Palestinian schools teach the Palestinian curriculum. However, the Israeli Ministry of Education has recently invested in schools in East Jerusalem where the Israeli curriculum is taught. If parents chose to put their children in one of these schools their children´s prospects for the future are suddenly much more promising. “The Israeli authorities only help a small group who are following their curriculum. Sometimes this is not really a choice when you have to think about the future of your child”, says Nisreen. Some may say my writing is a criticism of Israel´s right to exist. Some may go further and equal my criticism to anti-Semitism. My writing is not meant to be either. It is a criticism of the unequal power structures making Israel an ethnic state, oppressing a fifth of its residents. It is a criticism of the Israeli government´s lack of accountability for Jewish-Israeli settlers who use their status to exploit their Palestinian-Israeli neighbors. It is a criticism towards the fact that valid criticism towards an unjust system so often are sidestepped and labeled anti-Semitic propaganda. Nevertheless there is an urgent need to come forward and criticize the current state of affairs. Either the Zionist essence of Israel will need to be remodeled from its very foundation, opening up for a society where ethnicity does not determine a person´s value, or Israel will gradually recess into such an observable state of Apartheid that nobody will be able to deny it. Right now Israel is building a “time bomb” and I do not want to be there when it detonates.